March 22, 2019 March 22, 2019 Inderjeet3 Comments on First Class Song from Kalank is out now: Remo D’Souza moves and Varun-Kiara chemistry proved it First Class. Kalank is keep on reveling its content one by one now it’s about second song of Kalank, title ‘First Class’. 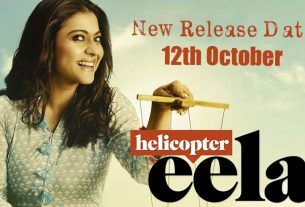 First Class song is out now and the song is purely entertaining. After Alia Bhatt and Madhuri Dixit superb chemistry in ‘Ghar More Pardesiya‘, Kiara Advani and Varun Dhawan is ready to make you groove in First Class. Kiara Advani and Varun Dhawan chemistry set the dance floor on fire. There is another dance number in Kalank featuring Kriti Sanon, so we can expect huge hits from Kalank’s album. Arijit Singh has crooned First Class in very crunchy mood which sets on the beat of Pritam. Remo D’Souza’s hard work get highlighted as complete crowd follow the signature step. Amitabh Bhattacharya has written the lyrics of First Class and its really different and complex like..
Now fans are waiting for Kalank Trailer, which is yet to be announced to release and its more than a month for Kalank to release. So guys how did you like the ‘First Class’ song of Kalank? was it really First Class for you or not? Stay tuned for further updates about Kalank and latest Bollywood movies. Deepika Padukone First Look From Chhapaak: A never seen before avatar of Deepika! 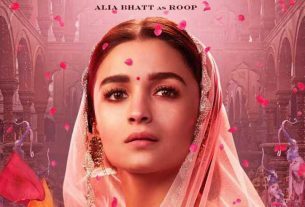 On Alia Bhatt’s 26th Birthday, Kalank Team shared a beautiful poster of her as Roop.